Jade Rollers vs. Rose Quartz Rollers - which is better for facial massage? The Hype is real and the results are real. Beauty enthusiasts are going crazy for Jade Rollers, the new, ancient beauty tool claiming to detoxify, de-puff and flatten wrinkles. But do Jade Rollers and Rose Quartz Rollers really work? How do you even use them and which do you buy?! I'm going to break it down for you... er... Roll it out for you. Read on to watch the Gemstone Roller video tutorial! Keep scrolling to view the Tutorial! Traditionally Jade Rollers were used to flatten wrinkles on the face and clear fluid congestion. Jade is a semiprecious stone that it remains cold while in contact with the skin and this helps to close the pores and tighten the skin. The most useful function is that they increase lymphatic drainage. Combined with the rolling action, the jade roller works to tone up facial muscles, increase circulation, stimulate detoxification by lymphatic drainage and aid absorption of your skin care. 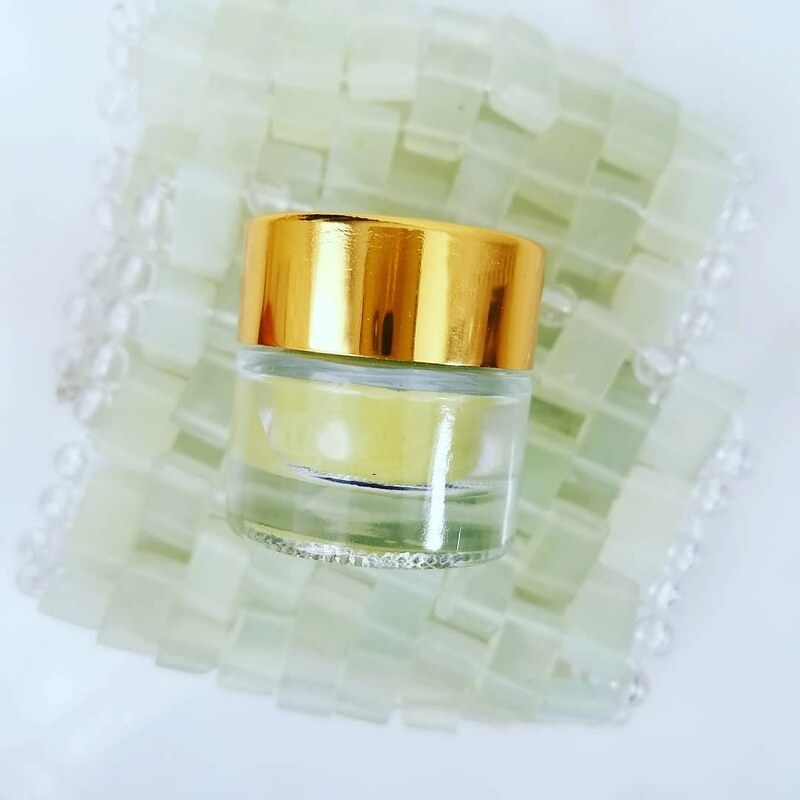 Using one of these on a daily basis will soon leave your face feeling firmer, smoother and looking clearer, while also working wonders for under-eye puffiness and dark circles. JADE BONUS - Jade is known to be a transmitter of far infared rays, which are beneficial for anti-aging and wrinkle treatment! Egyptians believed rose quartz had anti-aging properties. It is thought that the Goddess Isis would gather tumbled stones of rose quartz by the Nile river where she used these as facial massage stones to keep the complexion clear and prevent wrinkles. Rose Quartz is commonly referred to as the "Love Stone" for it's strong vibrations of unconditional love, tenderness, joy warmth and healing. This beautiful pink crystal has a powerful energy that resonates within both the heart chakra and the higher heart chakra the area related to compassion. Rose quartz is packed full of minerals, including silicium, magnesium, iron, sodium and oxygen. It has an amazing ability to reduce inflammation and support the renewal of skin cells plus heals and rejuvenates. Rose quartz rollers are also good for the heart and circulation, bringing oxygen to skin which improves tone, luster and glow. ROSE QUARTZ BONUS - If you're someone who struggles with self love or opening your heart, rose quartz can help to bring about feelings of love, self love and compassion. There are two different ways to use the roller. One is in a gentle downward movement. This is detoxifying and stimulates lymphatic drainage. The second, is in a more vigorous and rejuvenating upward movement. This stimulates circulation and oxygenates the skin. If you're confused, watch the video a clearer explanation. Apply a serum or mask all over face and decolletage. Start at the base of your neck. Gently roll in a downward motion from ear to clavicle. Repeat 3x then move to the next section, working across your neck from the ear to the center line. Move to the center of your chin. Roll out from the center towards the hair line. At the end of your third pass toward the hairline, drain the lymph by rolling down the side of the face toward the clavicle once. Continue this pattern, rolling horizontally across the face 3x then draining once down perpendicular to your previous movement, as you work your way up the face. At the under eye, use the small end of the roller. Roll 3x from the nose toward the end of the brow. On the last roll, finish by drawing down the side of the face to the clavicle. Repeat these movements just under the eyebrow. Lastly, gently roll from the center of the forehead toward the side of the face 3x, draining down to the clavicle on the last pass. Repeat this moving up the forehead. To finish, repeat your last draining movement 2-3x more. You'll notice a constant need to swallow. This is very normal during lymphatic drainage and a good indicator you're doing it correctly. Start at the neck. Roll from base of neck to jaw line in an upward roll. Your pressure should be medium to firm. When you get to the jaw, give a little flick. Repeat this 5-10x as needed, then move to the next section. Repeat till you've reached the center of your neck. Next, roll from the chin to your ear just under your jaw line, chiseling definition at the jaw. Repeat 5-10x. these movements working up the face, finishing under the eye. Now, move to the forehead. Roll from your brow toward your hairline in a vertical upward movement. Repeat 5-10x. Repeat these movements working across the forehead. Wipe your face clean followed by a serum or moisturizer. If you started with serum or moisturizer, the product has been pushed deeply into your skin during rolling. Slather on some more. Done! You can roll every day but we recommend doing this three or four times a week. Watch the tutorial video below from Organic Esthetician, Katie Sobelman, for some fantastic tips on how to roll, and which moves give specific results. Now that you're excited about facial massage rollers, I'm going to blow your mind. Jade Masks. The same magical benefits of jade have been intricately woven into a delicately cooling mask for your tired eyes. The coolness and weight of the jade helps relieve sinus issues, closes pores and reduces puffiness and wrinkles. Jade remains cold while in contact with the skin and this helps to close the pores and tighten the skin. Also a good use for meditation, the jade helps calm the soul and brings about deep relaxation and tranquility. Using a Jade Eye Mask regularly will soon leave your face feeling firmer, smoother and looking clearer, while also working wonders for under-eye puffiness and dark circles. After using your serum of choice and/or jade roller, lay the cool mask over eyes while feeling tension dissolve. Leave on as long as you wish. Turn the mask upside down and lay over the mouth and jaw area to soothe lines and tension around these pent up areas. So I know you're waiting for me to tell you which roller is better and the answer is... Both! It's a personal preference, but I will tell you this... The Rose Quartz Roller is a bit heavier so feels more substantial while rolling. The single head rollers are really pretty and substantial but the dual head rollers are fantastic because they have a smaller head for the eye area. Jade is also a transmitter of far infared rays, which can help diminish wrinkles. Ultimately, the Choice is yours. Just be sure to purchase genuine Jade or Rose Quartz. Some of the cheaper rollers found on websites like amazon or ebay can be dyed glass or made from flimsy glued metal. Wilder North has sourced the absolute highest quality, 3rd generation rollers, which are newly designed to not break, fall apart or squeak, as many of the older designs do. Rollers of this quality are not available from many shops yet. We also source rollers which are made from only the highest quality stones. All our rollers work in harmony with our skin serums to give you the best results possible. Wilder North cannot be held responsible for any actions made, implied or expressed by anyone as a result of this guidance.